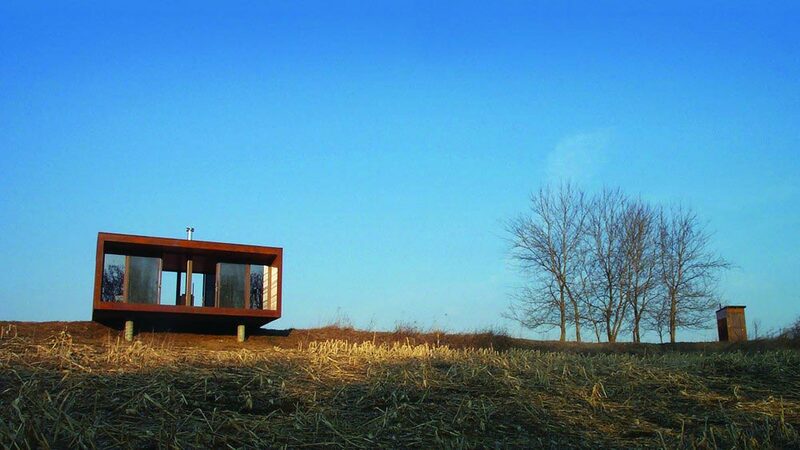 This is the original weeHouse, designed by Alchemy Architects and built in-factory by Geoffrey Warner and his team. 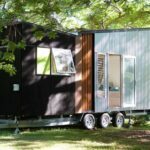 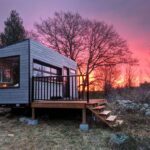 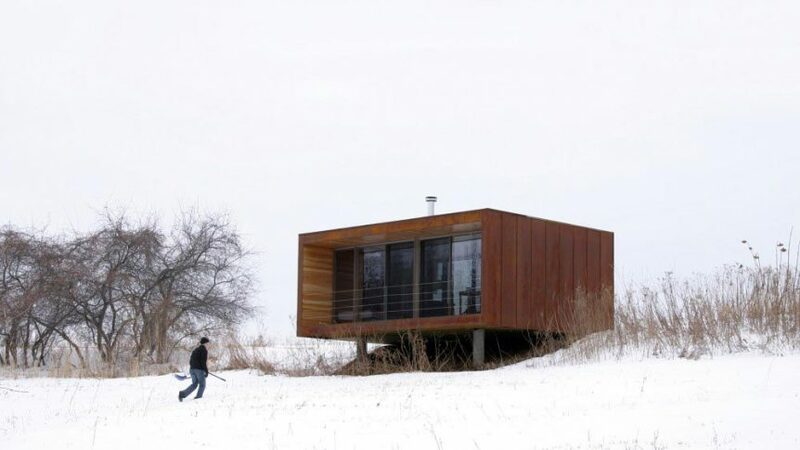 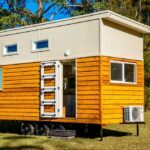 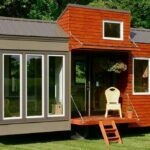 The 336-square-foot tiny house is located on Minnesota prairie land near Lake Pepin. 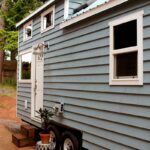 The exterior was built using cementitious siding painted with an oxidizing paint, which provides a rustic yet hardy finish. 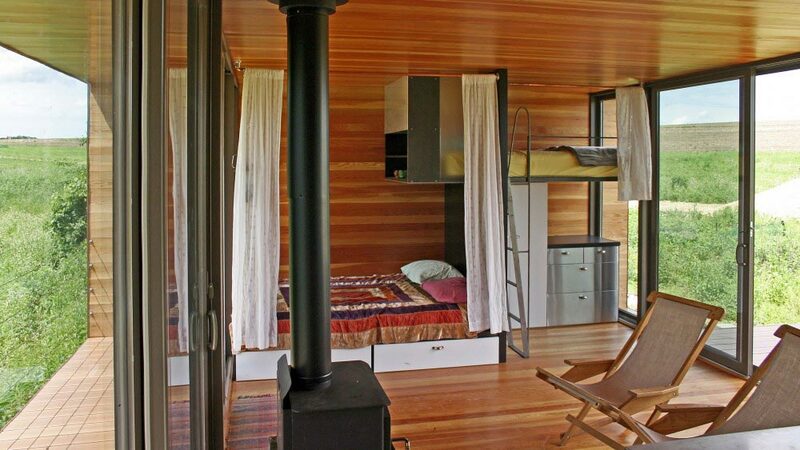 The Douglas fir interior is complemented with IKEA built-in cabinetry and a wood-burning stove. 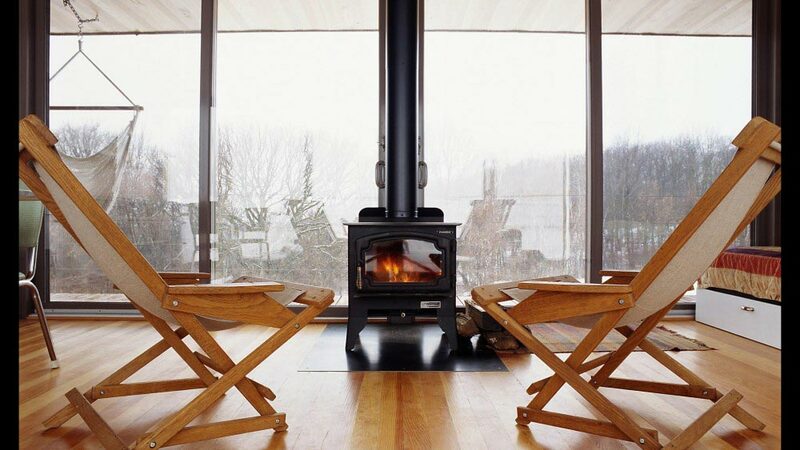 The floor-to-ceiling windows provide a spectacular view. 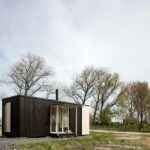 The weeHouse is a modular prefabricated housing system that optimizes many elements of the traditional design-build process. 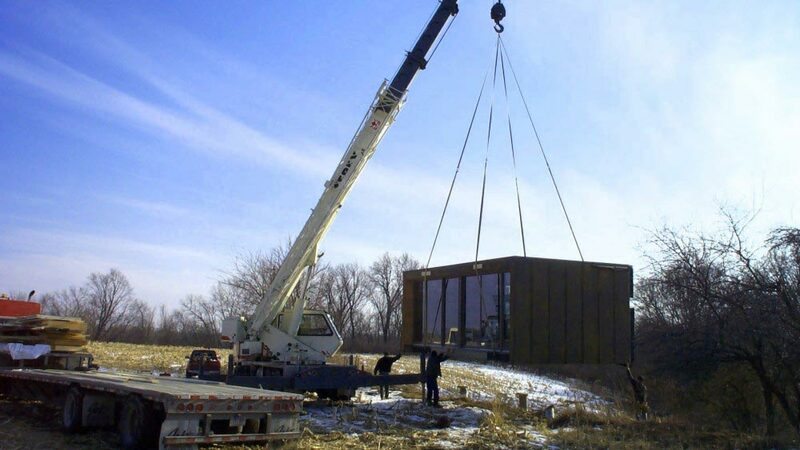 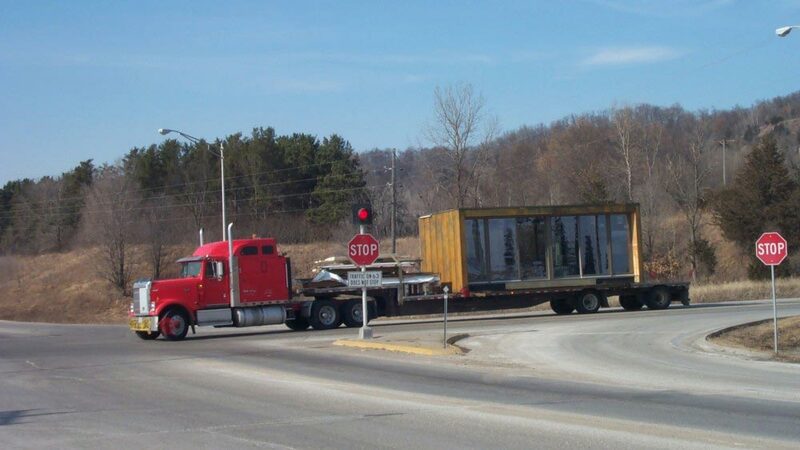 Building in a factory setting allows for increased accuracy, building envelope tightness, less waste material, time efficiencies and numerous other factors that make modular construction both economical and ecologically sound. 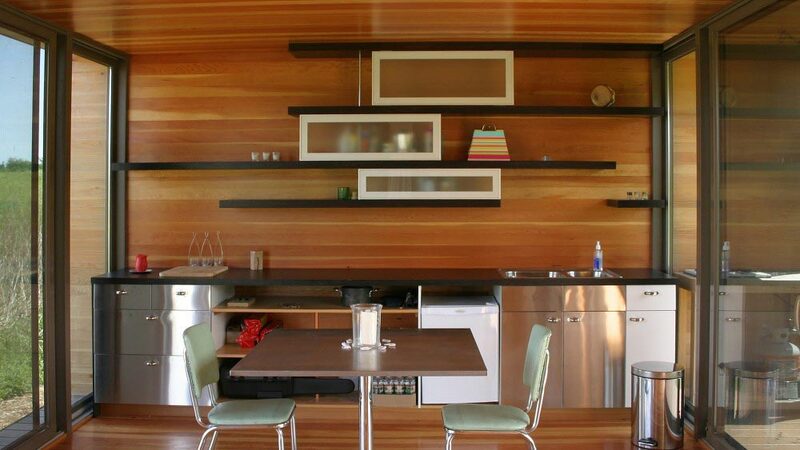 Every weeHouse is custom built to suit your specific site and budgetary needs.